Royal Fabrication We “Royal Fabrication”, is a Sole Proprietorship Firm, indulged in manufacturing, wholesaling and retailing an exclusive range of Metal Swing, Main Gate, etc. Incepted in the year 2012 at Indore, (Madhya Pradesh, India), We sincerely pay thanks to our Mentor “Mohammad Tahir Sheikh (Owner)”, who is continuously imparting quality services in the favor of our organization. We have got the edge over other market players due to the following reasons mentioned below: Optimum quality products Timely delivery Cost-effective price Focused approach Competent and efficient team Efficient logistic facility Vast industry experience Large production capacity Royal Fabrication is a proprietorship, fabrication company having over 30 years of combined metal products design and fabrication experience. Our portfolio include, bollards, pots, poles, staircases, gates, gazebos and so much more products that form integrated features in and around commercial buildings, factories, homes, and gardens. From our production unit in Indore, Madhya Pradesh (India), we also provide fabrication work services, wherein, our fabricators and welders can develop metal products based on the design and specifications of customer's choice. 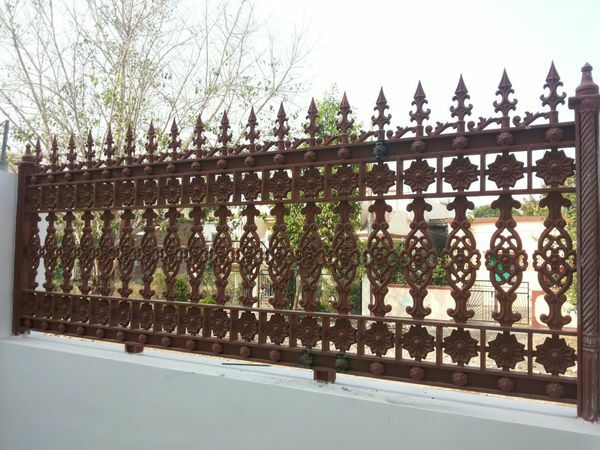 Railing manufacturer ||Staircase manufacturer || Cast iron spiral staircase manufacturer || Window grill manufacturer || Street Pole manufacturer || Lamp post manufacturer || Cast iron decorative poles manufacturer || cast iron with Ms pipe Combo poles manufacturer || Cast iron Ornamental pole manufacturer || Garden furniture manufacturer || Garden benches manufacturer ||Garden benches Sitting FRP manufacturer || Garden Benches Sitting Wood manufacturer || Garden benches Sitting MS pipe manufacturer || Garden Sofa Set manufacturer || Garden Chair set Manufacturer || Cast iron pots manufacturer || Cast iron Gate manufacturer || Iron main gate manufacturer || Big gate manufacturer || Standard gate manufacturer || Cast iron gate manufacturer || Ornamental gate manufacturer || Industry gate manufacturer || Gazebo manufacturer || 10 Feet square gazebo manufacturer || 15 feet square gazebo manufacturer || 12 feet hexagonal gazebo manufacturer || 16 feet hexagonal gazebo manufacturer || 20 feet octagonal gazebo manufacturer || Rectangular gazebo manufacturer || Prefabricated cast iron gazebo manufacturer ||Cast iron Bollards.